2019 is here, and while celebrations of the New Year might be taking center stage at the moment, don’t forget that there are other big events happening in January as you enjoy your downtime in the apartments for rent in Los Angeles. Namely, Martin Luther King Jr. Day is right around the corner, and if you’re keen to do more than just lounge around on the day off, you might consider honoring one of America’s greatest heroes by heading to one of the many events being held in the city in his honor. Don’t fret if you haven’t already made plans. Today, we’re going to be filling you in on some of the most prominent MLK Day celebrations and giving you all the information you’ll need to pay proper tribute to the Civil Rights legend while commemorating his birthday. 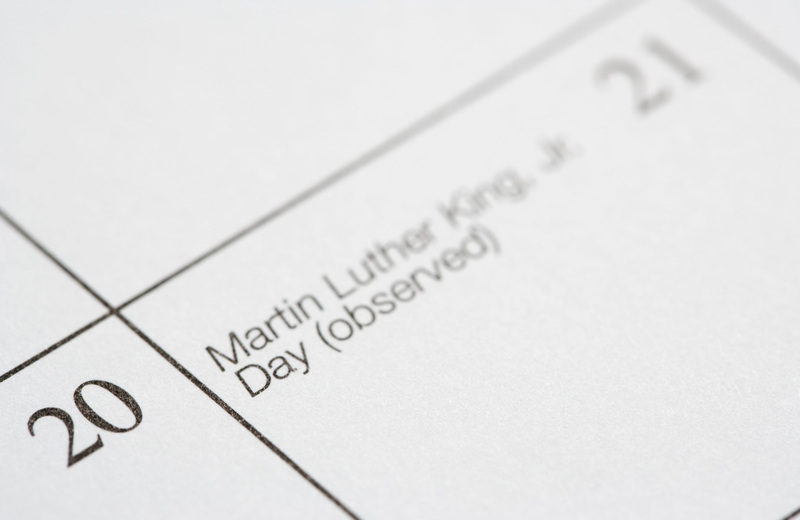 Dr. King, and the holiday associated with his feats, require little introduction. Tracking down the right celebration to attend may necessitate a bit more legwork, though. Thankfully, we’ve already tracked down several great events around the LA area, and we’ll be going in-depth on everything you need to know in advance. Each year, the Congress of Racial Equality of California (CORE-CA) hosts the Kingdom Parade in honor of Martin Luther King Jr., and 2019 is no exception. January 21st will mark the 34th iteration of this event, which will kick off at 10:00AM with a massive parade featuring a countless number of impressive floats and marching bands. If you’re at all curious how that might look in action, be sure to take a peek at ABC 7’s coverage of last year’s parade. Among those in attendance was Senator Kamala Harris, who served as Grand Marshal, and Mayor Eric Garcetti, who delivered some important words on “ways Southern Californians can not only mark history, but make it” as well. It won’t just be the trappings of the parade on display, however, as this event also includes plenty to do once the marching is through. Attendees will have the opportunity to “join a day-long festival with music, dancing, delicious food and performances.” This will perhaps be the ultimate kick off to the MLK Day action, so even if you can’t attend, consider catching the broadcast of the event as soon as you can. Head to Long Beach on January 19th, and you’ll be able to catch the Annual Long Beach Martin Luther King Jr. Parade & Celebration, which works its way through the area before culminating in a Unity Festival at King Park on Lemon Avenue. As you’re probably suspecting, there will be bands and tightly-choreographed marching units in abundance, followed by all manner of food, live music, games and rides. If you’ve not been one to go out for MLK Day before and want to experience the energy that such celebrations can harness, this will be the event for you attend. It should also serve as a great way to learn more about the importance of Martin Luther King Jr.’s legacy and those who honor him. If you’ve never been to the California African American Museum before, you owe it to yourself to get down there. Since 1977, the organization has been dedicated to the celebration of the Black experience in the United States, and they’ll be doing exactly that on MLK Day with a full program honoring Dr. King from 10:00AM to 5:00PM, free of charge. It all kicks off with a study group, where participants, after listening to a recording of one of MLK’s 1968 speeches, will be able to discuss how these famous words relate to modern times. Following the study group will be a very critical panel discussion on “Intergenerational Activism in the 21st Century,” touching on how older generations can spur their younger counterparts to continue the fights for civil rights. Later in the day, there will be several addresses, and readings of portions of King’s speeches by prominent youth activists, along with a thrilling orchestral performance from the Inner City Youth Orchestra of Los Angeles and a Children’s March around the Rose Garden. Throughout the day, there will also be opportunities to participate in various “Family Drop-in Art Activities,” so this will be the perfect kind of event to bring the entire family along to enjoy. Music director Guido Lamell will be conducting the show, and you can expect some truly talented showmanship from veteran performer Mark Edward Smith, the concert’s baritone soloist. The concert begins at 2:00PM, and this will be an excellent way to see some of the most talented orchestral performers in California while simultaneously paying tribute to the memory of the great Martin Luther King Jr.
Once you’re done honoring MLK, it’ll be nice to turn in at some of the finest apartments the city has to offer. They don’t get much nicer than Eighth & Grand, nestled among the glorious renaissance of LA’s Downtown. Ready to be a part of DTLA’s revolution? Be sure to check out our availability and make this your spot for a Los Angeles experience done right.